This always struck me as more in tune with American realities than some of the workerist “Black and White, unite and fight” rhetoric that could be heard from those in the CPUSA’s orbit or from the ultra-sectarian Trotskyist groups that split from the SWP over its “adaptation” to Black nationalism. When I was a senior at Bard, I heard Malcolm X speak at a Militant Labor Forum and sympathized with his every word, even if at the time I was a conventional liberal on every other question. 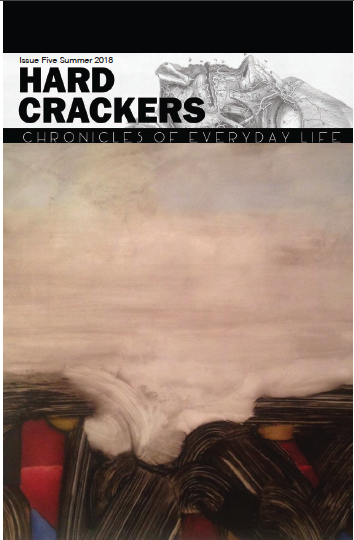 Hard Crackers focuses on people like the ones Mitchell profiled. It does not seek to compete with publications that analyze world developments, nor with groups formed on the basis of things their members oppose and advocate; still less does it consider itself a substitute for political activity. It is guided by one principle: that in the ordinary people of this country (and the world) there resides the capacity to escape from the mess we are in, and a commitment to documenting and examining their strivings to do so. The Mitchell referred to above was Joseph Mitchell who profiled different people in The New Yorker during the 40s and 50s. Although I’ve never read Mitchell, he seems to have something in common with Harvey Pekar, who when he wasn’t writing about his own mundane life in “American Splendor”, gravitated to the same sort of eccentrics Mitchell wrote about. Before I lost contact with Harvey before he became sick with the lymphoma that would kill him, he told me that his dream was to carry on in the tradition of Studs Terkel who was to Chicago that Mitchell was to New York and Harvey was to Cleveland. You might say that “Hard Crackers” covers the same beat but what makes it must-reading in this period is that it puts a spotlight on the red state boondocks whose long-suffering working class will be the first to struggle uncompromisingly just as they did when they voted for Eugene V. Debs a century or so ago. In the latest issue, there are three stories that stand out as examples of such reporting. Richard Dixon reports from rural Oklahoma in “Winding Stair Mountain” during bow hunting season. Dixon writes, “You want to find individuals with eccentric bents or outlaws, come down here, this area spawning both Belle Starr and Pretty Boy Floyd”. Next there is “Heartland Reunion” by Lowell May who describes himself as an Iowa farmhand and 60s radical. May grew up in Hampton, Iowa that is now 30 percent Latino and the epicenter of the debate over “illegal aliens”. Divisions over the new residents were the topic of a NY Times article dated August 12, 2017 but needless to say a home-town boy who is a member of the IWW brings something to the table that the NY Times can’t. He discovers that many of the immigrants are working in CAFO’s, the Concentrated Animal Feeding Operations owned by agribusinesses that have devastated the Carolinas. For the immigrants, the foul-smelling and slave-like conditions are tolerable for the simple reason that the jobs pay enough to keep a family together. Economic necessity also motivated many Crow Indians to vote for Trump in 2016 as reported by Cloee Cooper in “A Coal Miner’s Musings from Crow Nation”. Since the Crow reservation is a major source of coal and gas, the only way the Crows can enjoy a bare-minimum existence is by keeping the coal mines going. So they voted for Trump but were first to arrive at Standing Rock to provide material and spiritual aid to the native peoples protesting there. Such contradictions exist throughout the USA today and Hard Crackers is indispensable for unraveling them. It cost $6 per issue and is worth far more. I try to keep with left print publications and will only say that as a subscriber to Jacobin and Hard Crackers from the very first issue, it is only the latter that I read from cover to cover each time it arrives. I strongly recommend taking out a sub to Hard Crackers since it will give you insights into the American malaise, for which only the revolutionary struggles of the marginal peoples chronicled in its pages is capable of ending. you should be nicer to hopkins.